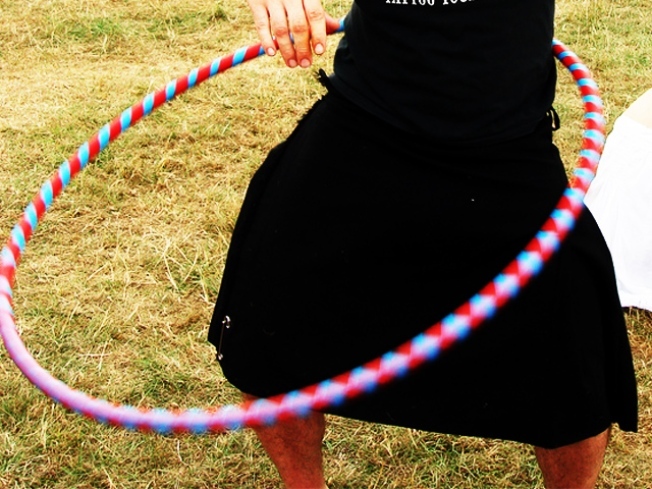 Do you have what it takes to rock a hula hoop-dance-off at Bell House? Get circular at Bell House tonight, with the Hoop (There It Is) Hula dance-off. FELLOWSHIP OF THE RING: Hula hoops: All you need is the will to twirl and a little bit of endurance, and you’re a shoo-in for tonight’s Hoop (There It Is) event at Bell House, sponsored by Brooklyn Based. It’s part hula-thon, part dance-off, and all fun (and good for your health, too – seriously, there’ll be Pilates instructors attending the event who make hoops part of their regular class workouts). 9PM. MASTERCLASS: Do you have any idea how long piano kingpin Dave Brubeck has been playing jazz? Here’s one hint: Almost everyone he’s played with is dead. And another: He’ll be at Damrosch Park Bandshell tonight celebrating the 50th -- 50th! -- anniversary of his iconic album "Time Out." Amir ElSaffar's Two Rivers Large Ensemble and the Dave Brubeck Quartet kick it off at 7:30PM. “COLD” COMFORT: "Cold Souls” – a 2009 Sundance favorite that’s showing in a sneak preview tonight downtown -- is a tricky one to describe, so let’s have 92YTribeca give it a go: it’s a “NY comedy starring Paul Giamatti (‘Sideways’) as himself, who gets mixed up in black market ‘soul trafficking’ in order to overcome his fears playing Uncle Vanya onstage.” Got that? Film hasn’t been this weirdly -- and brilliantly -- self-referential and meta since “Being John Malkovich.” 7:30PM. Got an event tip? Send it to Elizabeth by email.